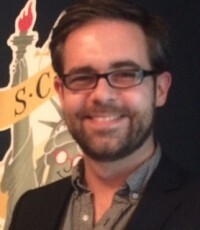 As an agent who is also a writer, John Cusick (@JohnMCusick) of Folio Jr. knows what it’s like to juggle the demands of a day job and an artistic pursuit alongside a personal life. At our March Professional Series lecture, Cusick told the intertwined story of how his becoming an agent led to him become a published author (of the YA novels Girl Parts and Cherry Money Baby), and what he’s learned in trying to manage his own life. 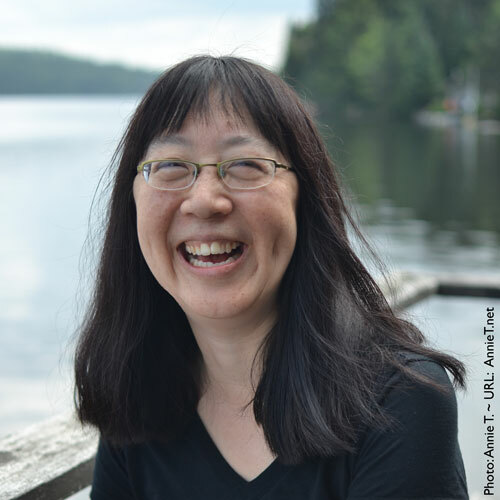 Debbie Ridpath Ohi aka @DebbieOhi @inkyelbows and inkygirl, is not only a picture book author/illustrator but a Facebook, Twitter, Google + and Instagram-mer extraordinaire. She gave a social media master class on February 16 for the Tuesday night professional series.